You gotta love Al De Duco, an ex Mob enforcer with a heart of gold. Don't believe me? Well just ask the dogs--and dogs are NRVER wrong!! His boss died and he decided to go straight-(unless someone was causing him to have to go get and or save them)-then he decided to marry the woman of his dreams and somewhat settled down. He was busy spending all the money he made as a mobster. Luckily his wife could control him with the spending. Who better to take over Jake's PI business while he had to go away for awhile. Of course Al does not follow the rules--and he reverts to his background when he has to find out who murdered Maureen, a woman with many men friends--some of whom Al knew from days gone by. Hey--have you ever known the mob NOT to get to the bottom of whatever it is they are trying to find out--me either! I am so glad Dianne Harman decided to devote an entire book to Al De Duco--he is one character you are not likely to forget. I truly hope she continues to put him into this series a lot! 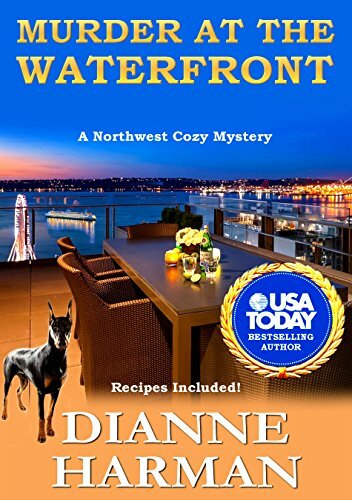 This is the seventh book in the Northwest Cozy Mystery Series by USA Today and Amazon Chart #1 Bestselling Author, Dianne Harman. You can get free books when you sign up for her emails. Thank you, Michele, and good luck, everyone! Love all the Dogs on her book covers!! My husband and I love Dianne Harman's books. I would love to win this book. Thank you for the chance to win. 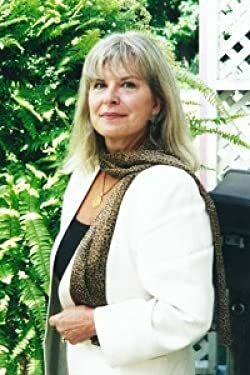 author of the award-winning suspenseful Coyote Series. I have read 6 of her books and I just love them. She is an awesome author. I learned that she has a lot of great looking books and is a best selling author! That she was a Yoga instructor that taught & certified other instructors. 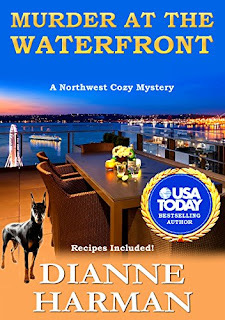 I learned that Murder at the Waterfront is the seventh book in the Nortwest Cozy Mystery series. I learned that Dianne owned a national antique and art appraisal business for many years, then she opened two yoga centers, where she taught yoga and certified yoga instructors. I learned that she is a USA Today and Amazon Chart #1 Bestselling Author. I learned that Dianne is a certified yoga instructor who has trained other instructors.